When you need a quick view of networks, data centers, or lit buildings in a specific area, a snapshot is your answer. Unlike a FiberLocator Online subscription, a snapshot is a one-time custom view of an area. A single snapshot is $200 and you can purchase additional snapshots with one of our snapshot bundles. Just provide a location address, and one of our analysts will set up a web session to customize your map view before sending you the final output. Snapshots are perfect when you need to look up telecom information or when you are early in a project – perhaps pitching it to other stakeholders. Once your data needs increase, however, we recommend you consider a FiberLocator Online subscription that gives you unlimited monthly access to our telecom database and mapping tools via the online application. 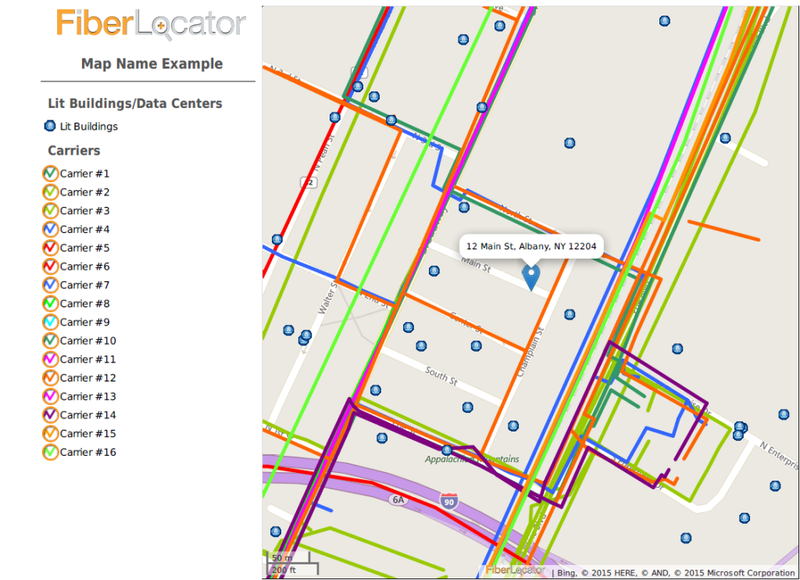 An experienced FiberLocator analyst will prepare a map at your request. You can see the map view through a guided web session to preview your map area – usually the same business day! The session includes an interactive search surrounding one physical location. Choose the view you want: your single view can be street level to regional. You’ll receive an output of maps in a PDF or PNG file format via email the same day. Need more than one snapshot? We have a variety of bundle packages to fit your needs and save you money.